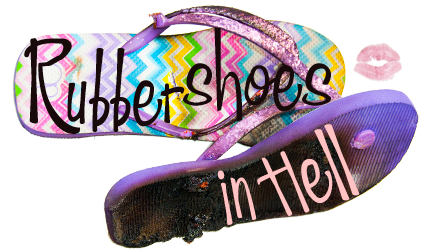 Work - Rubber Shoes in Hell - Often tired, but rarely listless. I get emails from companies asking me to review their product quite often. Usually, when I tell them how much I charge, they just go away. Because if they ain’t paying, I ain’t reviewing. Unless, they send me something sparkly. I am not getting paid for this post, this is a review, and I can say whatever I want. You know how life fucks with you and sends you down a rabbit hole? You don’t get to fall like Alice, though. You hit every root and rock on the way down. You get scratched, torn, and bruised. Sometimes, you get broken. I hate the annual performance review. I hate it. I hate it the way I hate cleaning toilets and running in to work people outside of work. Oh, yeah…hi! Soooo….out shopping? Awesome…wow, that is a LOT of lube, isn’t it? I didn’t know they sold gummi bears in 50 lb bags. Okay then, I’ll see you on Monday.